Gemstorm is a fun and very innovative Tetris variant game that feature fantastic and extremely addictive gameplay, great graphics and sound effects and overall, a very high enjoyment value. 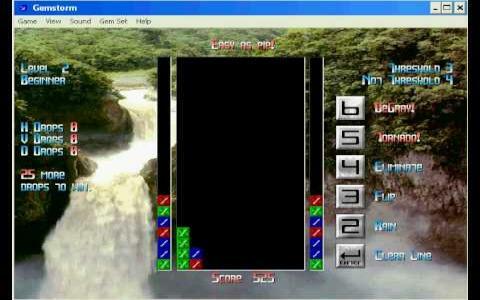 The game's objective is the same as in Tetris - destroy falling blocks by forming a line with the blocks that have already fallen. 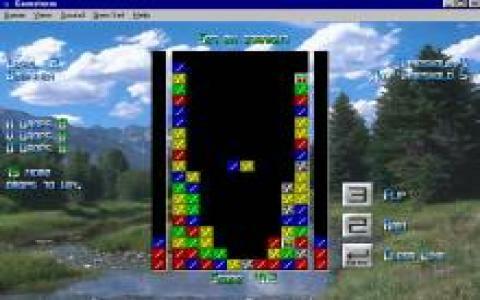 The catch is this - you have to rely on colors in stead of the shape and size of the blocks, and three or more gems of the same color are destroyed. 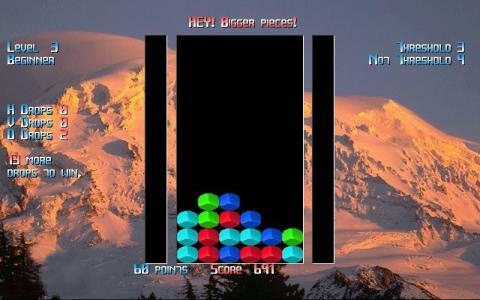 As the game progresses and gets harder, the blocks start falling a lot faster, and the color arrangement gets a lot harder for you to organize. Further in the game, you get a lot more blocks and some new cool features, like rainbow blocks that can be of any colors, and much more. As in most arcade games, you will get instantly hooked onto this one, and you won't leave your seat for countless hours, always trying again and again and again. You can save your game and then continue at the level you left the game. The graphics are stunning, the colors beautiful, and the animation very good and the whole game just looks great. 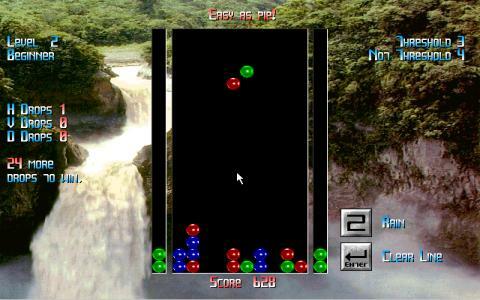 This game is a fantastic addition to the arcade puzzle game world and is definitely worth your time. Two thumbs up!